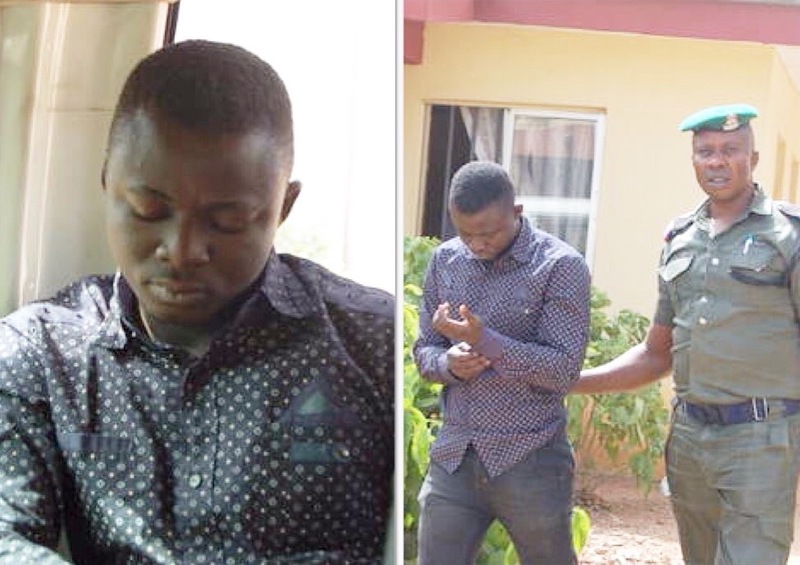 The Economic and Financial Crimes Commission, EFCC on Tuesday secured the conviction of an ​i​nternet fraudster, Egbeniyi Oluwafemi (aka Raymond Morrison, Mavis Mar and Markus Fred), for defrauding a foreigner. He was sentenced to two years imprisonment by Justice A.M Liman of the Federal High Court, Benin, Edo State. The convict, who was first arraigned on February 5, 2013 for offences bordering on internet scam and obtaining money by false pretence to the tune of 200 Euros from a German citizen named Rita, was pronounced guilty on counts 1 and 3 of the 3-count charge and sentenced to one year imprisonment each on both counts. Mr. Oluwafemi was arrested on January 18, 2013 by officers of the 4 Brigade/Sector 1, OP PULO SHIELD, Nigeria Army, and handed over to the EFCC on January 23, 2013 for further investigation and prosecution. One of the counts reads, “that you, Egbeniyi Oluwafemi (alias Raymond Morrison, Mavis Mar and Markus Fred) on or about the 10th of June 2012 in Benin City, Edo State within the jurisdiction of this Honourable Court did conspire to commit felony to wit: Obtaining Money by False Pretence and thereby committed an offence contrary to Section 8(a) of the Advance Fee Fraud and Other Fraud Related Offences Act, 2006 and punishable under Section 1(3) of the same Act”.